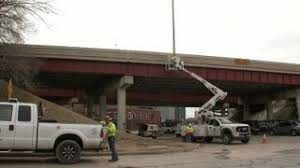 For those who think vandalism and accidents involing traffic lights on Tulsa city streets is a minor affair, TV station KOTV News on 6 reported this week the cost of replacing and repairing the lights has run nearly $6 million over the past four years. 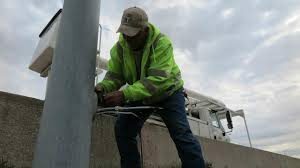 Despite millions of dollars spent to fix highway lights in Tulsa, hundreds of them are currently dark, waiting for repairs to electrical cables, replacement of fuses, or poles. At the same time, a major repair project on the inner dispersal loop is wrapping up as the city comes to the end of $5.8 million dollar push to get the lights on. The problem was mainly people stealing copper wiring a few years ago and now it’s a backlog of routine maintenance. The City says vandalism cases dropped substantially once workers started using aluminum wire, installed inside more secure conduit and junction boxes. The city says some old lights are rusting out, and funding for replacements usually comes only with large highway projects. Ball says now that the vandalism repairs are nearing completion, in March the City will go back to replacing the dozens of poles that are down. The City relies on citizen reports of outages through 3-1-1 to establish their (sic) list of where repairs are needed.